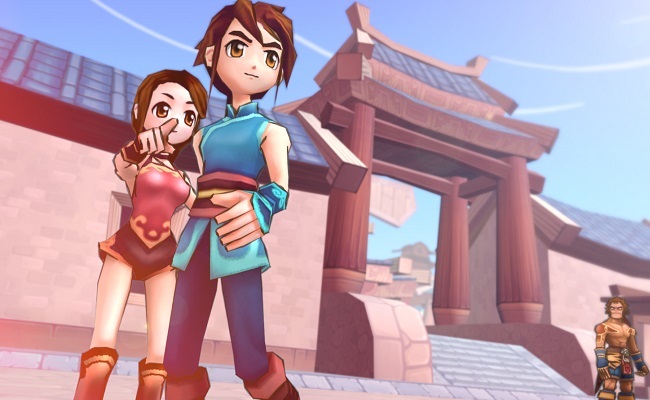 Dream of Mirror Online is a beautiful anime themed social MMORPG based off of Chinese mythology! Come home to a world like no other as players have hundreds of things to do in-game! DOMO has plenty of features that created a dedicated fan base and made it one of the most memorable MMORPG experiences ever! 1. Muting – Your chat privileges will be revoked for any duration. 2. Kicking – Your connection to the DoMO game server will be terminated. 3. Temporary Suspension – Your account may be suspended (banned) for days or months by the Suba Games team for your offenses. Generally speaking, we follow a “three strikes” policy for most offenses, with ban terms increasing in length the more you receive. 4. Permanent Suspension – Your account may be suspended permanently and with no appeal either for severe offenses or repeat offenses (i.e. after three strikes for a particular offense). Suba Games and Wicked Interactive Ltd. are not liable in part or full for any damages or harm caused, whether real or imagined, through account sharing. Users are currently no longer eligible to ask Suba Games Support for items that have been lost in the case of accidental trading, selling or deletion. We urge all players to carefully review their item management before finalizing their decisions as we can no longer provide support for these issues due to numerous cases of players trying to abuse this service. Items which are destroyed through enchanting or upgrading are also not eligible for return under any circumstances unless if sufficient video evidence is provided that it is destroyed due to the result of a glitch or bug. Attempting to deceive Suba Games Support by providing false reports or misinformation with respect to lost or missing items will cause future item return requests to be denied outright, whether legitimate or not. Increasing falsification of lost items could also result in both temporary and eventually permanent termination of the respective account. All trades must be performed through the Dream of Mirror Online game client. DoMO contains a trade interface which provides two-way confirmation from both players involved in the transaction. As such, in any situation where a trade might be reversed, only the items involved in a single trade operation can be considered. All trades are performed at-risk to all involved players. Once a trade is performed, possession and ownership of the involved items immediately passes to the respective new accounts and any claim to ownership of those items is void. This list of tips below will help you keep your account secure and safe. Negligence or ignorance of the basic security tips below may cause Suba Games Support to deny your request for assistance. 1. Never give anyone else your password for any reason. 2. Change your password regularly, and use a strong random password (i.e. "mDFHg14fp3"). 3. Never use the same password for multiple web sites, games or services. 4. Be sure to select security questions and answers in your Suba Games profile. 5. Linking your Suba Games account with third-party sites (i.e. Facebook) can add more options for intruders to use. Keep all your third-party site accounts as secure as possible, and unlink your accounts if you don't use the feature. 6. If you buy Suba Points or contact Suba Games Support, keep a copy of any receipts or e-mails you receive for transactions and communications. 7. Suba Games staff will never ask for your account information (password etc.) in-game. Suba Games staff may ask for old, unused passwords, but only if you send in a support ticket and it is necessary to confirm your identity. 8. If you send a support ticket to us containing sensitive account information of any kind, delete the ticket once your issue has been resolved. 9. If you change your e-mail address, remember to update your Suba Games account. 10. Uncheck the option in the game launcher to remember your login ID, especially if you play from a public computer. 11. Avoid playing from a public computer or connection (school, library, cyber cafe, etc.) if possible. 12. Never leave your computer unattended and unlocked, especially if you live with siblings or have children. 13. Regularly scan your computer for viruses and other malware using a reputable third-party security suite. Suba Games® is a registered trademark of Wicked Interactive Ltd.
©ⅯⅯⅩⅤ Wicked Interactive Ltd. All Rights Reserved. SOFTSTAR ENTERTAINMENT INC. All Rights Reserved.